A study published on PWC.com reveals that not having enough money for emergency expenses tops the financial concerns of the average American worker. Unless you’re a member of that fortunate one percent, you’ve had a financial emergency at least once. One of the important aspect, of learning healthy financial management is to know how to deal with a financial disaster. They’re just a normal part of your financial life and you should, of course, be planning for them but you can’t always stop them from happening. So what do you need to do to bounce back from a financial disaster? Here are eight helpful tips. When you stop to think about it a setback is really a setup for a comeback. While your financial problem might seem totally insurmountable you need to look for ways to address it on a proactive basis. Try to regroup and re-strategize. This means you may need to figure out how to earn some additional income or adjust your budget. If you’re not careful you can start making silly mistakes with your money because of the anxiety that comes with a financial disaster. As one expert noted, a setback can leave you reeling since they are usually unexpected and often involve high emotions. Intelligence tends to go down when emotion increases. Use the disaster as a way to educate yourself about personal finance and to improve your habits. If you learn how to use money smarter you’ll be better prepared for your financial future regardless of what it holds and ready for all those unexpected potholes and speed bumps that happen to everyone. You should try to adopt a more positive attitude, as this is essential. Beyond this, you also need to make a plan to cope your new circumstances. One of the experts with Dave Ramsey’s team has noted that you should make a plan to help you overcome your obstacle whether it’s a costly emergency, a job loss, or simply regretting a large purchase. The purpose of your plan should be to help you change your spending habits and free up money you could put towards solving your financial disaster. This could mean reducing your spending until you have an emergency fund to back you up. 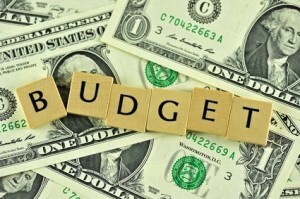 Or it’s possible you will need to make a budget to help you eliminate overspending. It’s also important to remember your past does not govern your future. You have the ability to change your financial habits and behave smarter in the future. One of the problems with being in a financial crisis is that you can feel hopeless that there’s just no solution. If you are feeling this way try to search out people that have had the same problem or even a worse one and then learn how they dug out of their problems. Your mentor could provide customized advice about improving your situation, help you remain on track and provide reassurances when you’re feeling down. Even though your money might be on the tight side there’s no reason that you shouldn’t be saving. MarketWatch.com published an article that revealed how 6 out of 10 Americans do not even have $1,000 in their savings account. Try to save something every month even if it’s only a small amount and even if you believe you can’t. The fact is if you put your mind to it you can afford to save – even if your financial situation is on life support. If you’re having a financial disaster it’s important to keep on top of your credit score and find ways to improve it. For starters, you should make sure you always pay the total amount you owe and always pay your bills on time. Also, try to keep a low credit utilization ratio, which means keeping your credit card balances as low as you can and not charging more to your accounts. You can determine your credit utilization ratio by taking the total amount of credit you have available and dividing it into the amount you’ve used. If you find your credit utilization ratio is above 35%, try to pay down some of your debt to improve your ratio, which will help your credit score. 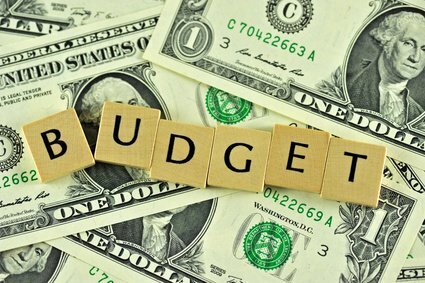 If you can lower your expenses you could use the extra money to tackle that big financial issue. The harsh truth is that you may need to forego some luxuries when working back from a financial disaster. If you have a $125 a month cable bill and can get rid of it that’s the same as getting a $1500 raise after taxes. In addition, simplifying your life can also have positive consequences. People who have been able to simplify their lives and learned to sacrifice luxuries have generally found their lives become rich in other ways. If you could use some good money-saving tips here’s a short video that should help. One of the most important parts of getting back from a financial disaster is getting rid of your credit card debts. Before you finish paying off your credit cards you could actually be paying $75 for a $25 T-shirt. So, do your best to pay off all your balances every month. If you can’t do this then at least try to cut off your expenses to the point where you could double up on your monthly payments. You could file your income taxes as early as possible and use your refunds to pay off some of your credit cards. If you don’t have a refund coming and bought too much stuff on your credit cards you could always put the stuff to work to help get rid of your debts. There are surely household items, appliances, and clothes you haven’t used for quite some time or just don’t want anymore. Post them on Craigslist.com of put them on eBay. Then use this “free money” to pay down your credit card debts. It’s inevitable that you will have financial disasters during your lifetime but that doesn’t mean you have to stay in them long term. Follow these tips and you should be able to get back on the path to financial good health and maybe even sooner than you had imagined.